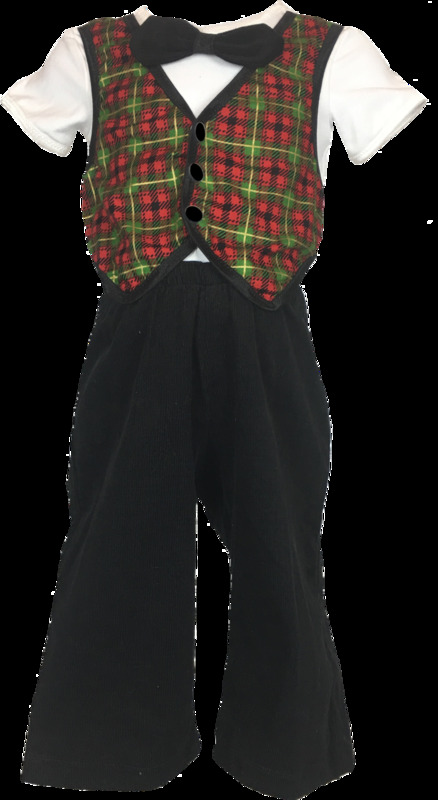 A holiday red and green plaid vest accents classic black corduroy pants. Vest is attached to a white bodysuit for easy of dressing. Every holiday outfit needs a bowtie of black corduroy and red and green plaid shoes.